← Ribbon Cutting on the fence .. finally! Now where was I?? Oh, yeah, working on the Leg Vise still. I got a little time to shape the roller brackets today and maybe by the end of the weekend, I’ll have the leg vise finished up. 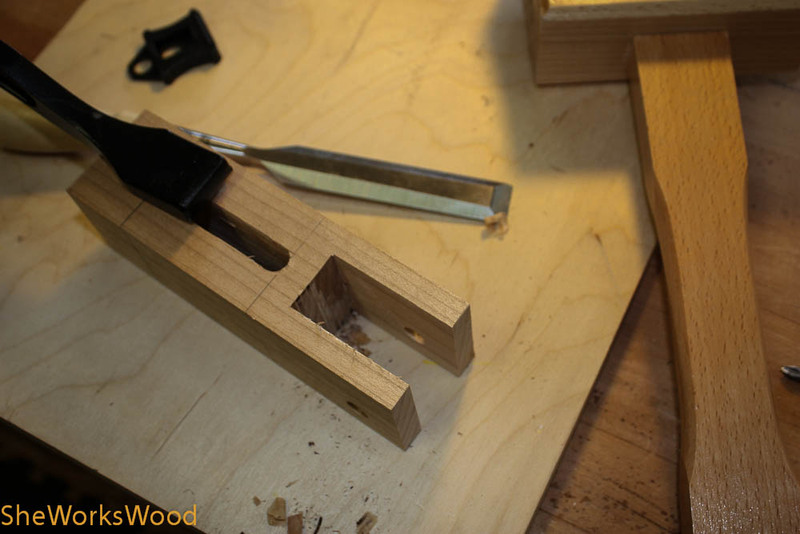 This entry was posted in workbench and tagged leg vise, roller bracket, workbench. Bookmark the permalink. I made my own roller brackets the other day! Looks sorta like you used cherry (I used cherry, had some offcuts). 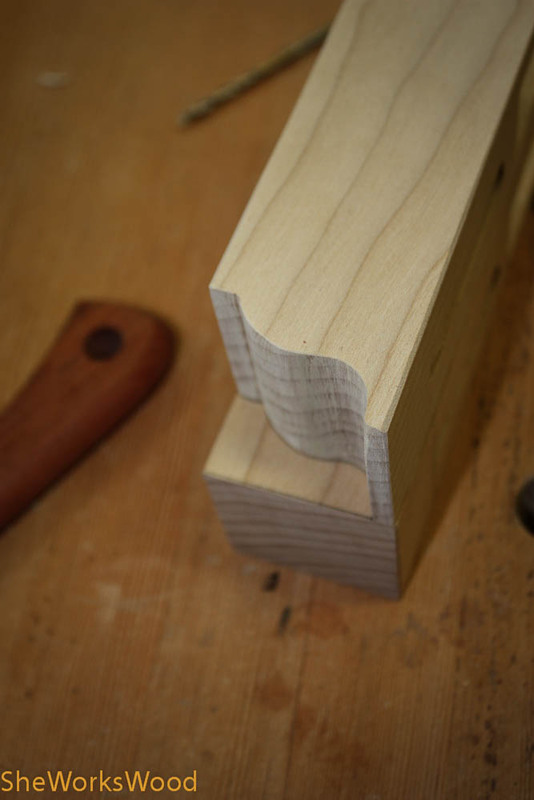 I was reading your Captured-Nut Mortise and Tenon Joints post and it looks like you’re making great progress on your bench. My top is fir but my base is made of maple so the roller brackets are made of maple. But you’re right, the photo makes it look like cherry. Ah, looking at the rest of your photos from today, I see now it’s not as reddish as I’d thought. Yeah, the progress on mine is good. A little teaser–I (more or less) finished today, but the blog is a little behind. Oh goodie! Can’t wait to see how it turned out.